Bellefonte Nuclear Plant is pictured Monday, July 30, 2018 in Hollywood, Alabama. Nuclear Development LLC successfully bid $111 million for the Bellefonte site, with its two partially-built pressurized water reactors plus infrastructure, including switchyards, office buildings, warehouses, cooling towers, water pumping stations and railroad spurs. The buyer of one of America's last unfinished nuclear power plants is suing the Tennessee Valley Authority, claiming the federal utility illegally blocked the sale of the plant on Friday. Attorneys for developer Franklin L. Haney, who is trying to buy the Bellefonte nuclear power plant in Hollywood, Alabama, charged TVA Friday with breach of contract for not completing a previously agreed to sale to Haney's Nuclear Development LLC for the Bellefonte assets. Haney submitted the winning $111 million purchase offer in a 2016 auction and was scheduled to close the sale Friday. TVA said the sale could not be completed because Haney had not gained approval from the U.S. Nuclear Regulatory Commission to transfer the construction permits for Bellefonte from TVA. "The Atomic Energy Act requires that the ownership of a nuclear facility be under the licensing of the Nuclear Regulatory Commission and that (license transfer) is required for us to complete the purchase agreement," TVA spokesman Jim Hopson said Friday in explaining why TVA scrapped the sale of its Bellefonte plant to Haney. 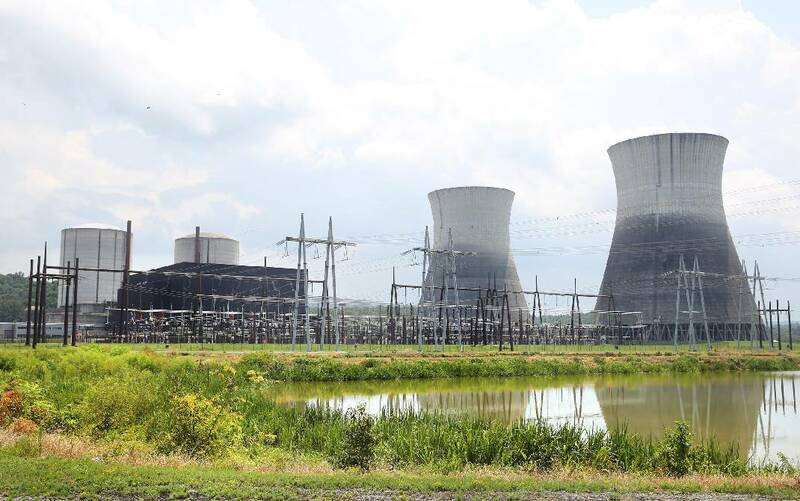 But in a 14-page federal lawsuit filed in U.S. District Court in Huntsville, Haney's attorneys argued that TVA's application of the Atomic Energy Act to the Bellefonte sale "is erroneous. "The transfer of the Bellefonte site and its improvements in their current condition to Nuclear Development does not violate the NRC permits, the NRC regulations or the Atomic Energy Act," said Caine O'Rear III, an attorney in Mobile, Alabama who filed the lawsuit Friday on behalf of Haney. "Moreover, the transfer of the NRC permits is not a prerequisite to closing under the contract." O'Rear is asking the court to order TVA to sell Bellefonte to Haney's Nuclear Development under the previously agreed to contract. Haney is also seeking a preliminary injunction to ensure that TVA maintains the nuclear facility and its construction permit until the sale is completed. The lawsuit said Haney's Nuclear Development has already paid TVA a $22.2 million down payment for the Bellefonte purchase along with more than $7.1 million for continued maintenance of the plant over the past two years. Haney said he has also spent more than $30 million on engineering, consulting and regulatory fees toward analyzing and developing plans to finish Bellefonte. Haney is trying to buy and finish the Bellefonte nuclear plant, which he estimates he could do in five years at a cost of about $7 billion. That would provide cheaper power in the region and, during construction, generate 8,000 to 10,000 jobs in Northeast Alabama where Bellefonte is located, Haney said. Haney said he has talked with utilities and power users across the South about buying what he says will be cheaper power generated at Bellefonte. In an era of stagnate or declining power demand, however, Haney could end up competing with TVA for power sales if his Nuclear Development LLC is able to acquire and build the Bellefonte reactors in a cost effective manner. "I'm not trying to hurt TVA, but I'm sure they don't like someone offering lower-cost electricity," Haney said Friday. Already, Haney's offer to provide lower cost power to the Memphis Light Gas and Water utility has sparked that city-owned utility to undertake a study to determine if it wants to stay with TVA or look for another wholesale supplier of power. Memphis accounts for about 10 percent of all TVA sales. If his purchase of Bellefonte does not go through, Haney is asking for TVA to pay damages of more than $60 million. In August, TVA said in a letter to Haney that it would draft transaction documents and prepare for the November transfer of the plant ownership to Haney and TVA did not raise any issue about the need for NRC approval of the transfer of the construction permit, O'Rear said. TVA raised the concern about the NRC approval for the construction permit transfer on Nov. 8 for the first time, only six days before Friday's deadline, Haney said. Scott Burnell, a spokesman for the Nuclear Regulatory Commission, said the NRC has not previously transferred a construction permit for a nuclear plant and it is extraordinarily unusual to have a deferred construction permit being discussed for possible transfer. Burnell said operating licenses have been transferred from one nuclear plant owner to another, but those have usually involved either regulated or merchant utilities with relatively deep pockets. But Burnell said some of those sales have been completed, pending final NRC approval of the license transfer. Haney asked TVA to extend the time for closing the sale, but after granting a 16-day delay earlier this month, TVA said Friday it is not granting more time for the sale to be completed. Hopson said TVA will move soon to sell Bellefonte and could find another buyer. Haney's lawsuit is seeking an injunction against TVA taking such action, however. Hopson said Friday that TVA has not yet been served with Haney's lawsuit, but he said TVA has operated in accordance with its legal requirements for disposing of surplus assets.